We have great news for our Dallas neighbors. First Choice Chimney based in Fort Worth has opened two new locations to service more people in need of chimney services. If you need some assistance or have questions, remember that we’ve seen almost everything, so give us a call. For the most part the Chimney industry is unregulated in Dallas TX, this means that anybody can call themselves a chimney sweep. There are many reports across the nation of chimney sweeps preying on customer’s fear. 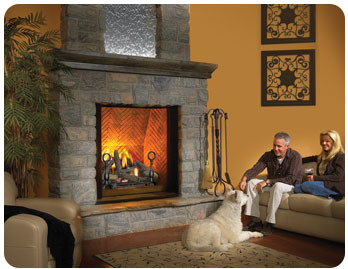 Most homeowners haven’t and don’t ever see the inside of their chimney. They must trust whomever they hire to clean it. Often this leads to unethical business, such as not completing a repair which can be a carbon monoxide and fire hazard. This is why hiring a Dallas CSIA (Chimney Safety Institute of America) certified chimney sweep is so important for your chimney and your families health and safety. The CSIA is a non-profit educational organization who’s mission is advanced public awareness while educating and certifying industry professionals. Their vision is that every family enjoys a safe, warm home. Every technician at 1st Choice Chimney is CSIA certified, you can have them prove it when they arrive. You can trust us to get the job done right the first time, giving you peace of mind in a warm home.